Wine and dine your clients with this fantastic item! This 12 oz. Vinello stemless wine glass is made from shatterproof plastic. This fun product is also BPA free, hand wash only.. 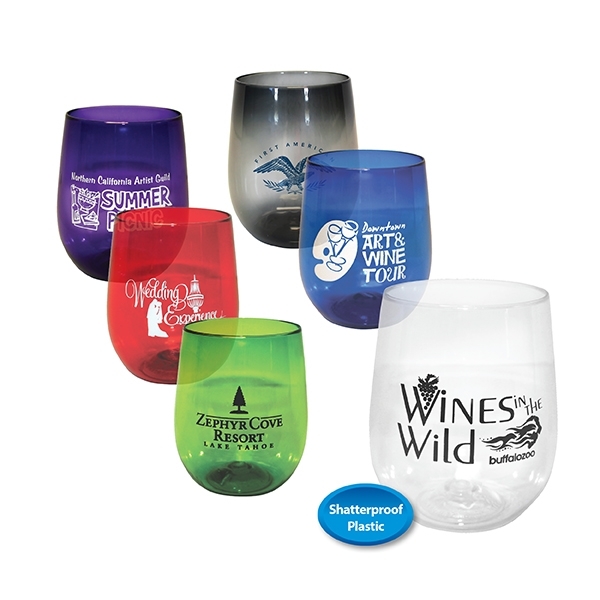 Available in a variety of translucent colors, the thin flexible walls allow for full wine flavor. An ideal choice for weddings, wineries, wine festivals and wine tastings, this promotional item is perfect as your next giveaway item.